These socks are warm, comfortable and stylish. And they come in three different styles, to match any outfit. 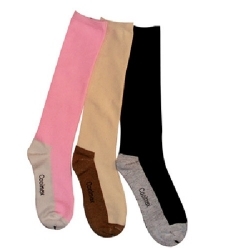 Classy black with grey, beige with grey or pink with grey.